There is no better time to start traveling. But the question is, can you afford it? The biggest excuse that most people who want to travel but never can give are that they don’t have enough money. If you’re telling yourself that you’re broke and that traveling is just but a fantasy, think again. Traveling while broke is actually the ideal time to experience what the world has to offer. When you’re broke and want to travel, you’ll most likely be wondering where to travel to or even how to get there with the money you have. It may seem a challenge, but when facing financial constraints, we tend always to find a way around it. The same goes for traveling when broke. 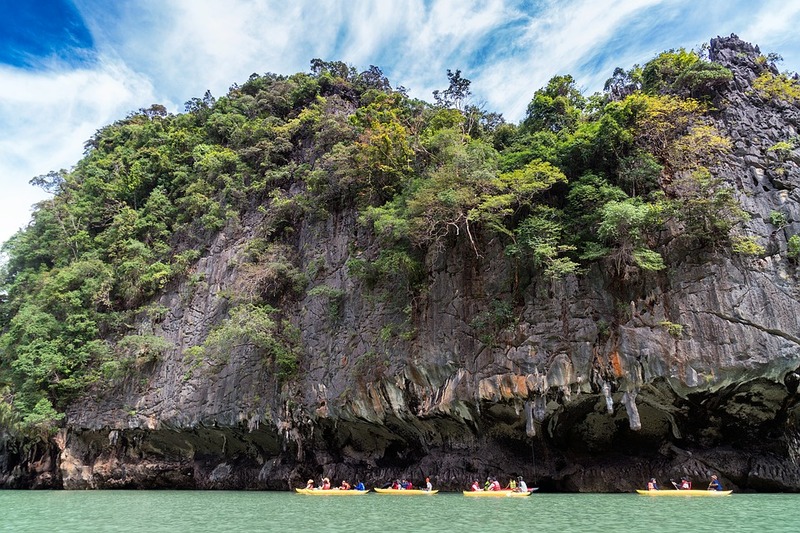 You’re simply forced to be creative with your traveling options and itinerary. With money, you can afford the convenience of spending entire nights in nightclubs and bars with friends. With little to spend on such luxuries, you can opt to grab a bottle of wine and sneak off with your friends up a hill and enjoy the sunset. Creativity rules when traveling broke. 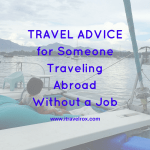 In fact, many people who have traveled overseas when broke will tell you that the experience was just as exciting as any other traveler, only with much more valuable information in their hands. Is it a wrong idea? Absolutely, not. When you are broke, you’ll definitely want to avoid taxis and metros so you can save some money on transportation. Traveling when broke means you’ll have to leave out the more convenient, shorter and quicker routes to your destination and opt for the long way. Walking or even cycling to where you want to go is, in fact, a great idea. You’ll always find interesting people along the way, discover hidden gems, stumble on interesting things you would have never come across and even enjoy the views and sights around you better. 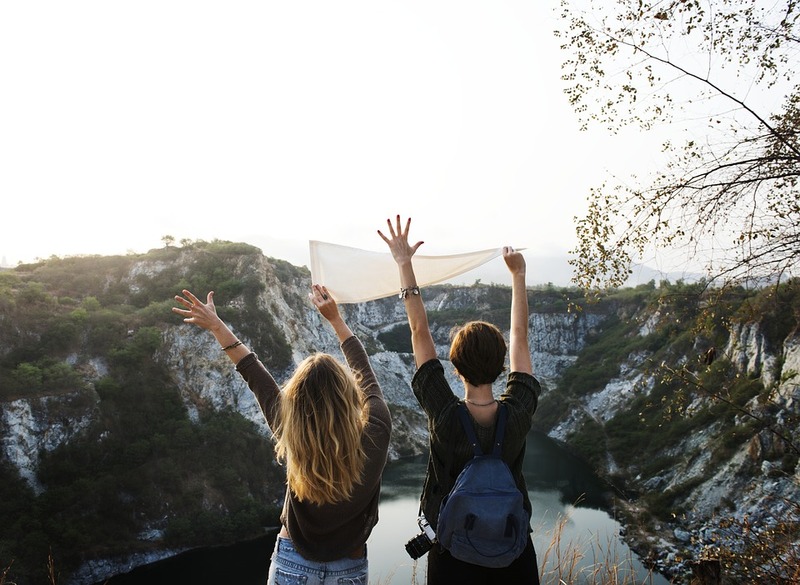 According to a travel blog, taking the long way means having more fun and getting the opportunity to find something new or explore off the beaten path. Instagram, Meetup, Couchsurfing, name them! As long as you’re connected to the internet, you’ve got lots of options and traveling resources available in the palm of your hands. It’s easy to find free social activities, picnics, tour invitations and other fun activities through Meetup. Join other travelers for an invitation-only home-cooked meal through Couchsurfing. In fact, even with the little you have, you can still end up having more fun and seeing more than you had expected, so long as you know where to look and how best to use the resources you have better. With a smartphone, Wi-Fi and the will to explore different offerings in a specific destination, you’ll always find something worth engaging in, no matter what. If you’re visiting a place like Maryland, the US and looking for cheap hotels Ocean City, MD, you’ll want to make sure that you can enjoy every bit of your stay, according to roxannetamayo.info. What about the luxuries of travel? Do you really need 5-star treatment when you know you can’t afford it? Maybe what you need is a social stay in a lively hostel or vacation rental with friends. Traveling when broke makes you appreciate the true value of the small things or even money that you have. It’s all about enjoying the moment in a laid-back atmosphere with what you can afford. Traveling broke helps you make more meaningful and authentic memories. Many people make excuses as to why they can’t travel. But when you expand your worldview about traveling, you increase your possibilities and find all ways to can to travel. Being broke means, you can stretch yourself and piece together a few things to make your traveling dream a reality. When left with limited options, you learn to make the best out of your situation. The best moments in life are not defined by how much you earn. Ultimate happiness comes from within. Traveling when broke allows you to be at peace with your life despite your financial circumstances. Even when dealing with debt, you can always find a way around it: more information here, and continue paying off your debt as you have some cool adventures. Traveling the world can be your next hobby, so grab the opportunity when you can. Whether you make minimum wage, have to work on the move or are wheelchair bound, being broke means you have nothing to lose, so you can make it happen. The point is, you can travel anywhere you wish so long as you’re creative, motivated and thrifty. This entry was posted in Money Matters and tagged broke travel, broke traveler, why is being broke the best time to travel. Bookmark the permalink. ← 6 Common Reasons Why Foreigners or Expats Love to Stay in the Philippines? Great website, how do u find all this info?I’ve read a couple of articles on your site and I like your writing style. Thanks a million, keep up the great work.